When you think of the health conditions that affect children the most, you probably think of allergies or the common cold. But you might be surprised to learn that the most common untreated childhood disease is actually tooth decay! In fact, the Center for Disease Control states that an estimated 1 out of every 5 children aged 2-11 has at least one cavity. But, fortunately, cavities are 100% preventable. Since February is National Children’s Dental Health Month, it’s the perfect time to learn some valuable information about children’s oral health and how you can help your child have a healthy smile. 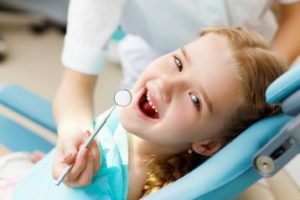 Keep reading for 3 tips to minimize the dental work they need from a children’s dentist in Los Alamitos and give them a lifetime of great dental health! 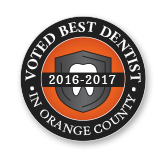 Your Los Alamitos Dentist Says Commit to Excellent Oral Health! 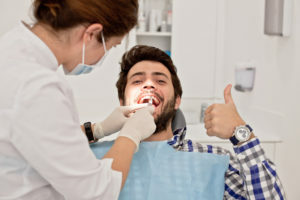 You’ve made your resolutions for the new year, and you’re busy taking the steps to bring them into fruition, but your dentist in Alamitos asks, “Have you taken the time to set any goals for your oral health?” If not, learn why now is the perfect time to start a new trend and how committing to visiting your dentist on a regular basis can give your oral health a boost! 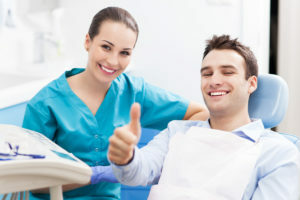 Comments Off on Your Los Alamitos Dentist Says Commit to Excellent Oral Health! If you have gapped, crooked, crowded or misaligned teeth, then it’s natural to desire a better-looking smile. The problem is you don’t want to endure the metal appearance of traditional braces to correct your bite. Thankfully, there is an alternative in Invisalign in Los Alamitos, but is the procedure affordable? How can you get an accurate quote? Read on to find answers to these questions. As long ago as 3000 B.C., ancient Egyptians used handmade toothbrushes made from twigs and leaves to clean their teeth. People are still brushing their teeth today, but with one big difference: the variety of brushing products. Nowadays, there’s so many different brushes on the market, how do you know which one is right for you? 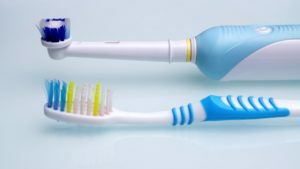 Read on to learn the pros and cons of electric and manual brushes and which one is best for you from a dentist in Los Alamitos. We know how busy you can be in your day-to-day lives. With work, family life, meal preparation, and so much more taking up most of your time, it’s no wonder that dental health can sometimes be overlooked. No need to worry! 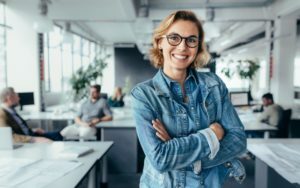 Your trusted dentist in Los Alamitos explains some simple steps you can take to improve your oral hygiene in the workplace. If you’re expecting – congratulations! It’s an exciting time full of anticipation. It’s also a time when every part of your body is undergoing major changes – including your oral health! Researchers have learned so much in recent years about the link between a mother’s oral health and her baby’s health. In fact, pregnant women with gum disease have been found to have a higher risk of preterm birth and low birth-weight babies. But that’s not all. You might also be surprised at how pregnancy can affect your teeth and gums. 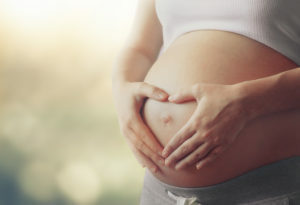 In this blog, you’ll learn 6 of the best tips for a healthy mouth during pregnancy from a dentist in Los Alamitos so both you and your baby can thrive during this special time. Comments Off on Is Invisalign Right for Me? Do you live with reoccurring jaw pain? Do you hear a clicking or popping sound when you open or close your mouth? You could be suffering from a disorder of the temporomandibular joint. The National Institute of Dental and Craniofacial Research estimates that 5% to 12% of people live with limited mobility of the joint that connects the lower jaw to the skull on either side of the face. When the joint functions incorrectly, it can lead to pain, inflammation, and a decreased quality of life due to the various symptoms it can cause. To improve its function and to stop jaw pain in Los Alamitos, your dentist has the solutions you need with neuromuscular dentistry. Whether you’re missing one tooth or a full row of teeth, your dentist may have suggested dental implant supported tooth replacement. Despite the fact that these tooth replacement options have been around for decades, few patients hear about them until they need to replace a tooth. For many, it can be difficult to understand this complex tooth replacement procedure, and you’ll likely have a lot of questions. 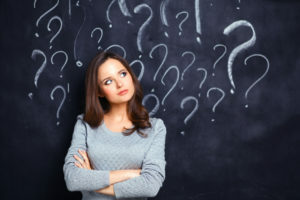 Before you decide to move forward with dental implant treatment, read this post to get the answers to the five most frequently asked questions we hear about dental implants. 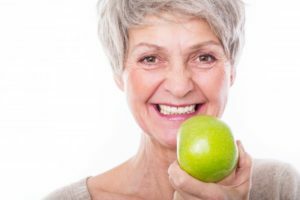 Why Do I need to Get Dental Implants in Los Alamitos Right Away? Are you one of many American adults that are facing tooth loss? If so, you know that you need to replace them. Your specific reason may vary from another patient’s reason—but the fact remains that there are multiple reasons that support replacing missing teeth. Learn more from your dentist about how dental implants in Los Alamitos can help you avoid these problems that stem from missing teeth. Comments Off on Why Do I need to Get Dental Implants in Los Alamitos Right Away? William C. Poe V, D.D.S. Inc.